As an artist, one always needs to conserve money and resources. It totally goes without saying that artist canvas is one of the most expensive items you buy. Each piece requires at least one canvas: there is no way around that! Once you start getting into you 40th and 50th piece, you can really start feeling the pinch! Here is my quick guide to making your own stretched art canvas frames for a fraction of the cost of buying it at an art supply store. Decide on the side of canvas frame you want to have. Keep in mind that the larger your frame, the more supports you will need; so try a small frame (no larger than 2 feet x 2 feet) for your first time. 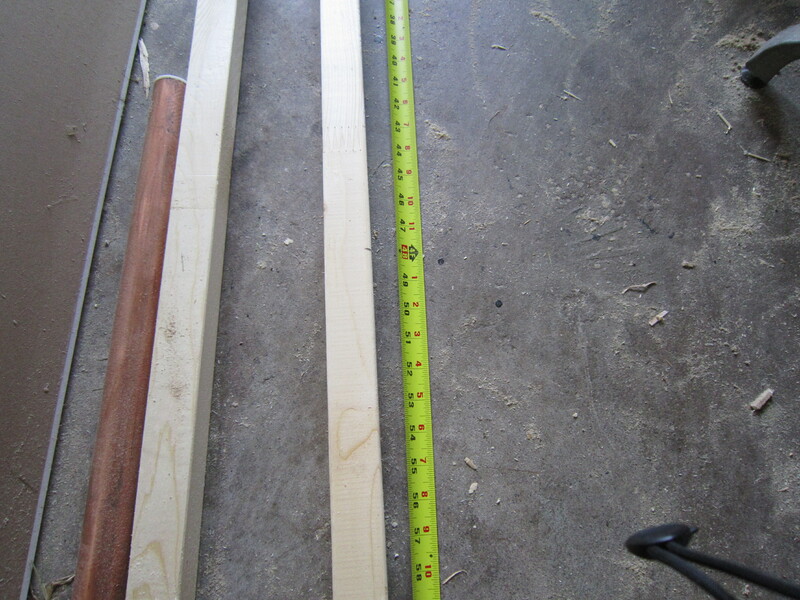 Measure the lengths of your required pieces from your 8 foot lengths of wood. Before you cut your wood, check for significant “bows” or crooked parts.Any inconsistently straight parts will make your frame crooked. Also avoid cutting where the wood has “knots”. 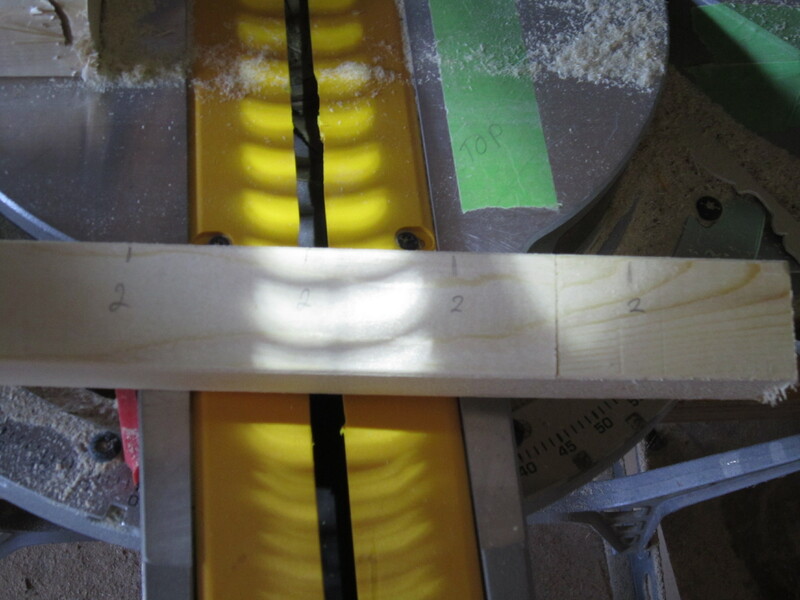 Your saw will have a tougher time cutting through knots in wood. Cut your wood smoothly and carefully. Always wear goggles, and something to cover your nose and mouth from wood dust. Measure twice and cut once! 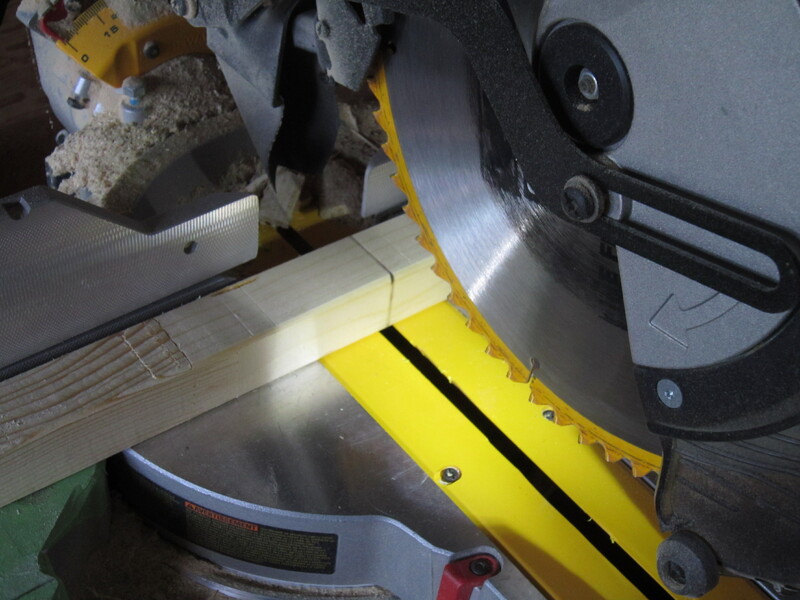 Always mark where you need to cut on your wood with an easily visible pencil or pen. 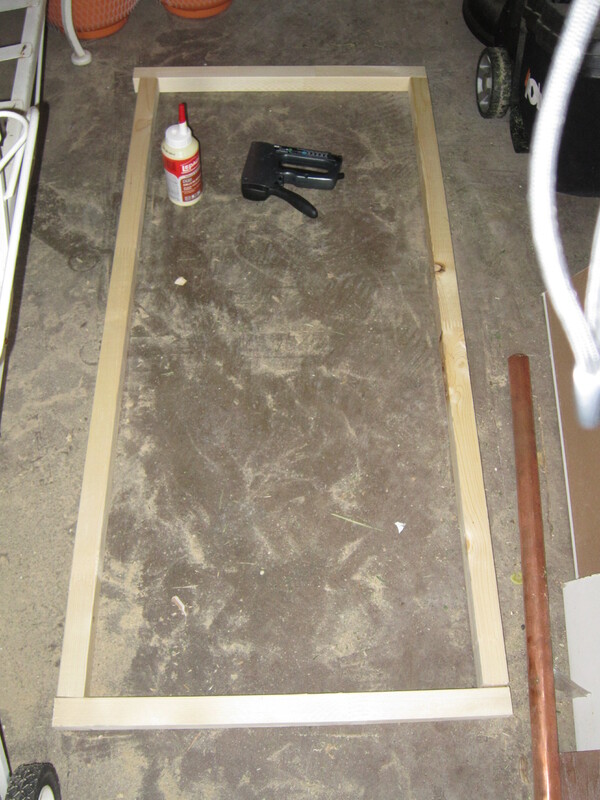 Clear away any mess and start laying out your structure on the floor or your work area. 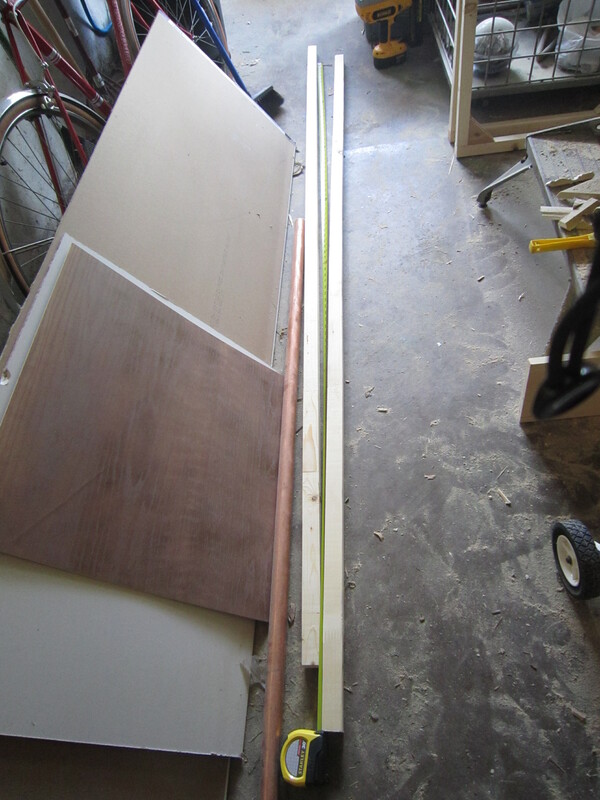 Lay out your entire structure to ensure that you have measured and cut all proper lengths, and have no missing pieces. Using wood glue, slather your corners and join them to fit at 90 degrees. 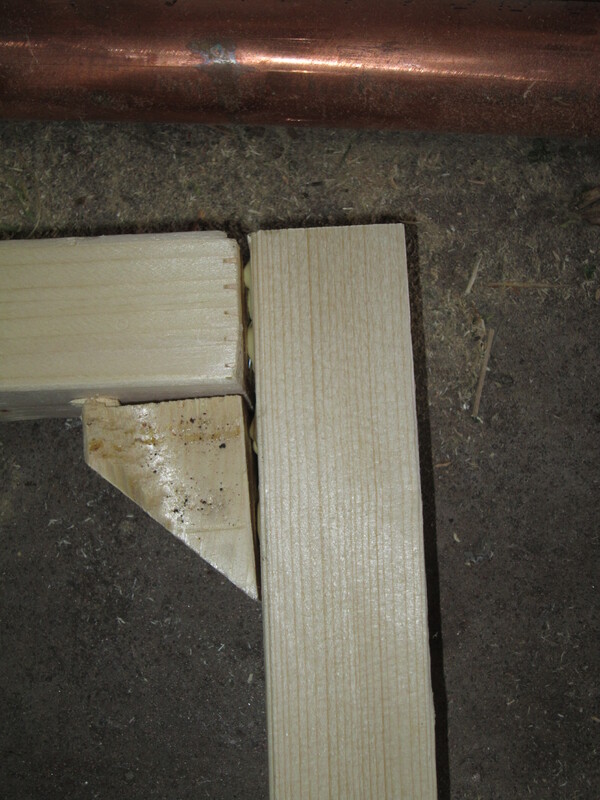 The size and thickness of the 2″ x 2″ wood make it easy to have well formed corners, but I recommend confirming the 90 degree angle with a carpenters square. Use enough glue! When you put your corners together, glue should squeeze out from all sides. 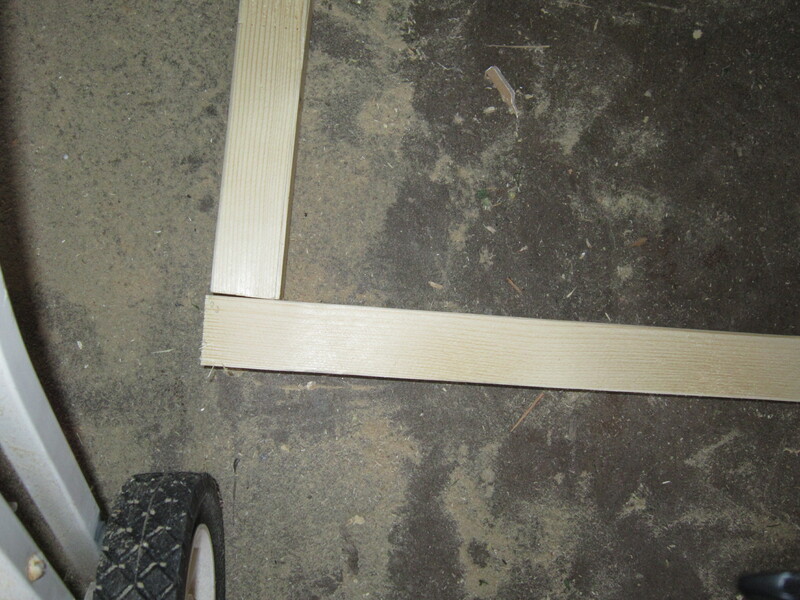 For this frame, I cut small triangle supports to reinforce the structure and prevent bending. I also used glue to secure these supports at each corner. Staple Time! Use lots of 12 mm staples to secure each corner. Using 12mm stainless steel staples, secure each corner. There is no set rule of how many staples to use, but since the 12 mm staples are very long and get driven deeply into the wood, I would say that it is safe to use 3- 4 staples for each corner. Let your new frame dry from 3-6 hours, however I would recommend letting the glue dry overnight. Once you have let the frame dry, you can stand it up to save space. Here are some variations I have made in the past. Note that these have cotton canvas stretched over and stapled in place. I will post a tutorial on this DIY project soon. If you have any staples that didn’t get driven in all the way, simply use a hammer or mallet to drive them all the way in. For really large frames, remember to put in cross bars, as well as long wood screws to secure pieces longer than 5 feet.